Le Cap-ne. 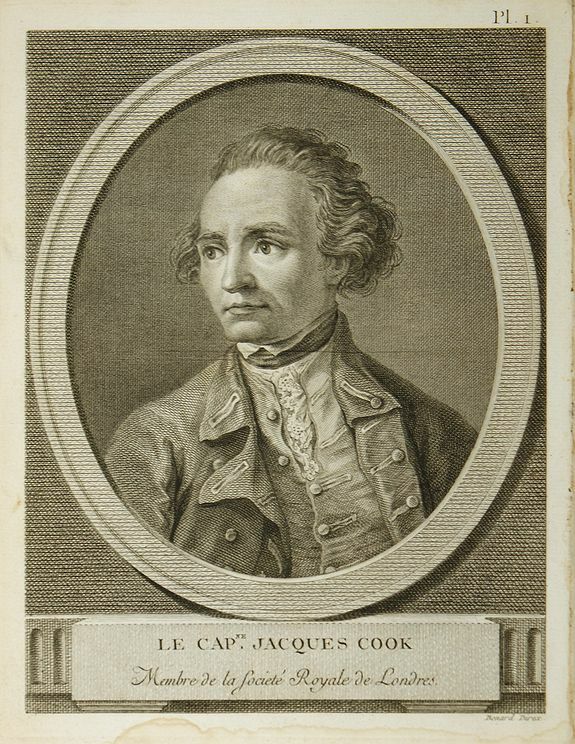 Jacques Cook … - COOK, J. Title : Le Cap-ne. Jacques Cook …. Description :From the French edition of James Cook's second voyage entitled Voyage dans l'Hémisphère Austral, et autour du Monde, fait sur les Vaissseaux de Roi, l'Aventure, la Résolution, en 1772, 1773, 1774, 1775.. Engraved by Robert Benard. Published in Paris by Pancoucke in 5 volumes with numerous illustrations, charts, and maps. Condition : In very good condition. A dark stain on the upper margin and a wet stain along the lower margin, both away from the engraved area.